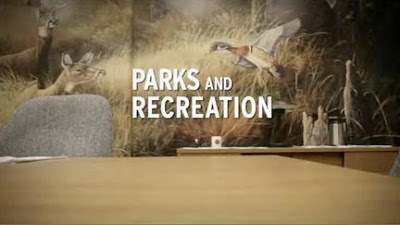 Back of the Head: Parks and Recreation 2x24 - "The Master Plan"
Is there a non-gay way I can ask Adam Scott to go camping with me? Andy's intentions were never as 100% clear as they were last night. I feel like it would be in April's character to force the camera man to show her the footage of Andy singing the November song, if she knew such footage existed. But like The Office camera people, those documentary filmmakers have hearts of stone. Jean-Ralphio is always welcome. "That Ralph Macchio guy's a douche." But what a heartwarming story of how he stood outside the house of the woman he wanted to drill. I will miss these people the most over the summer.